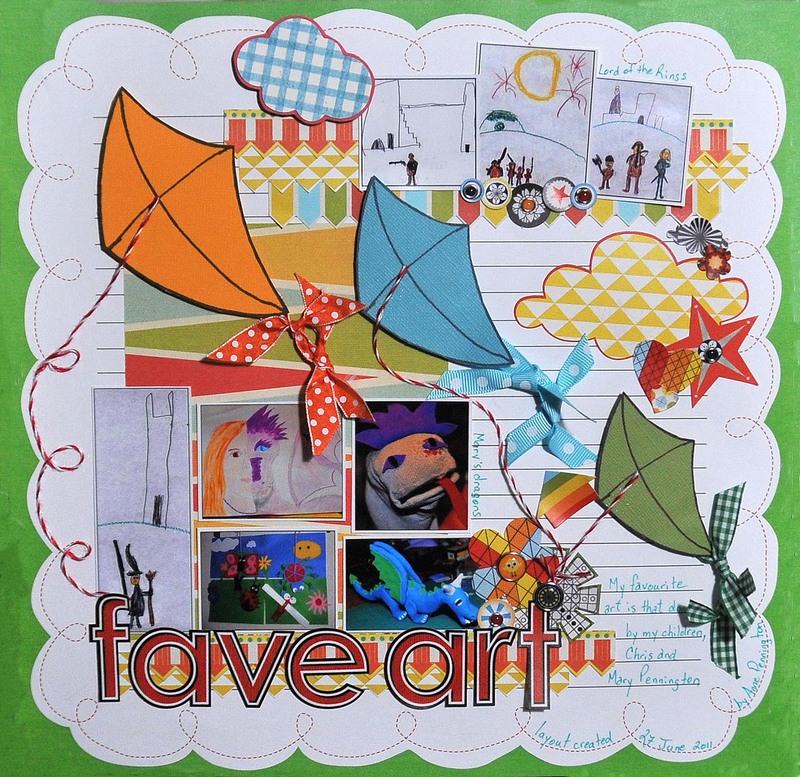 Here’s the instructions I received for July’s challenge from Scrapbookers Anonymous: “What’s your hard to use color? Well pull out those sheets of card stock and pattern paper in your stash and force yourself to use them in a LO! 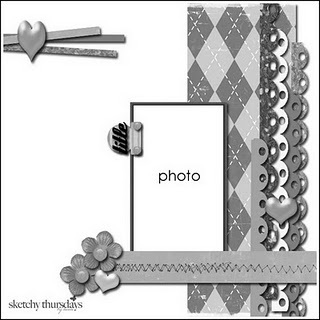 Make it pretty monochramatic except for maybe some little accent colors” – yikes what a great challenge once again from Scrapbookers Anonymous!!! Terri Gillman and Lea Patterson are always encouraging their followers to use up their scrapbooking stash in interesting ways with their unique challenges. Well, there are several colours that I find hard to use, so my choice was difficult for this challenge. Finally I settled on the colour brown. 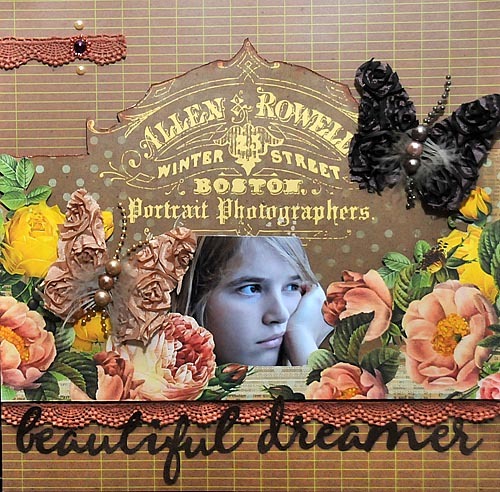 The paper I used with the photographer’s advertising also features some awesome roses that I could not resist using in spite of their colour. Well, I am using my stash, aren’t I, and we were allowed to use some accent colours, weren’t we? So it makes no sense to leave half the paper behind. Lol, so I didn’t. Paper is from Pink Paislee – Love Letters and Picture Perfect. 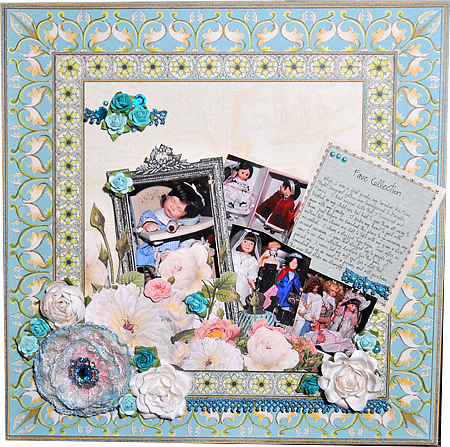 The girls at Scrapbooker’s Anonymous also challenge us to make a card with our leftover supplies from our layout. 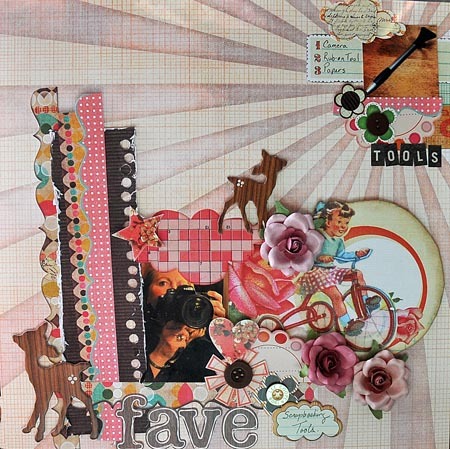 Well – I had no leftover scraps from this layout. I used two complete pieces of paper for this layout!!!! Little late getting this up today, as we have just come back from our favourite cabin, and now we are dashing off to Canada Day celebrations in Trenton. Hubby’s band is playing at 5 – yikes – need to jump in the shower and go!!!! Sad to hear too that Julie Tucker-Wolek is finishing with These are a Few of my Favorite Things after a terrific two-year run of it. One of my favourite places to go for sure. She is a sweetheart. I’ll still see her around, but I will miss her challenge. There is time to participate in the last challenge if you go to her challenge website!!!! Please drop over to participate and leave her a comment letting her know how much you’ ve appreciated her challenges!! If you click on Julie’s name above, you can keep tabs on her and her adventures at her personal blog. That girl has a LOT going on!!!! When I got a message from Julie that I’d won the prize for the last challenge at These are a Few of My Favorite Things – a bunch of yummy Webster’s Pages Wonderfall Collection stuff donated by DT member Debbie! I’ve got to check my lottery tickets!!!! Then my layout below was chosen as a fave on Sketchy Thursdays!!! And thirdly – well it is freaking SCRAPFEST tomorrow in Kitchener. Can’t wait to see what Lisa Furtney has in store for us!!! I am meeting my friends Lee, Terri and Dani for lots of fun!!! Oh yeah – another freaking sunburst paper !!! I just love them!! !